Is your little girl not so little anymore? Mine either. I joke she’s sevenTWEEN with the growing attitude and sense of style. But when she asked me for a ‘big girl’ room I wasn’t sure which direction to go. How do you give your baby a room to grow in to? Especially when they turn down loads of Pinterest pinks and Tiffany’s blue? 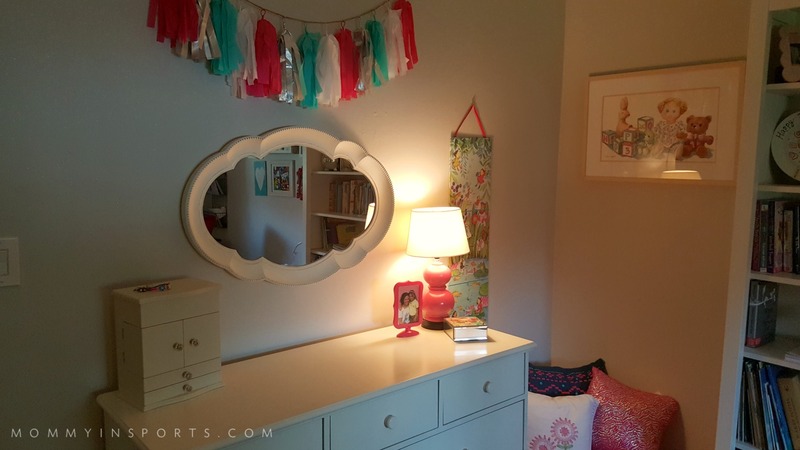 The answer was surprisingly easy- a girl boss bedroom makeover. It’s hard to let go and really listen to our children. We have ideas of soft pinks and chandeliers and they want sparkly gray walls and hot pink. 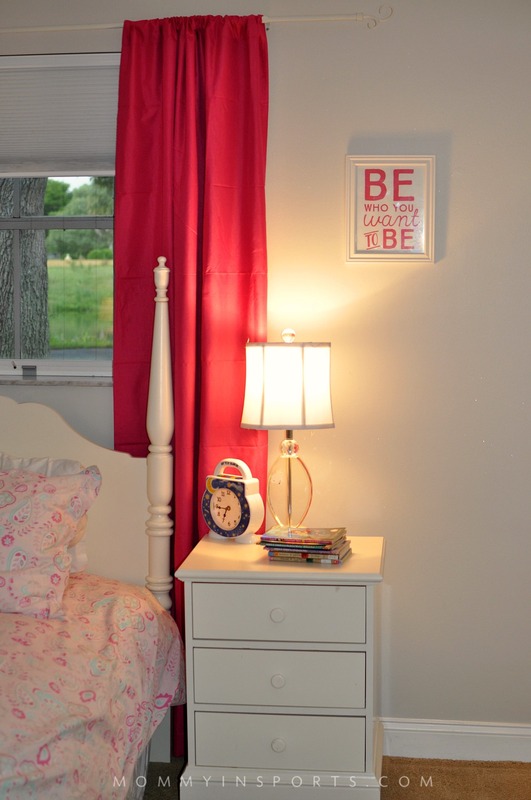 But when I was honest with myself, I realized this was her room, and she wanted to define it with her individual style. 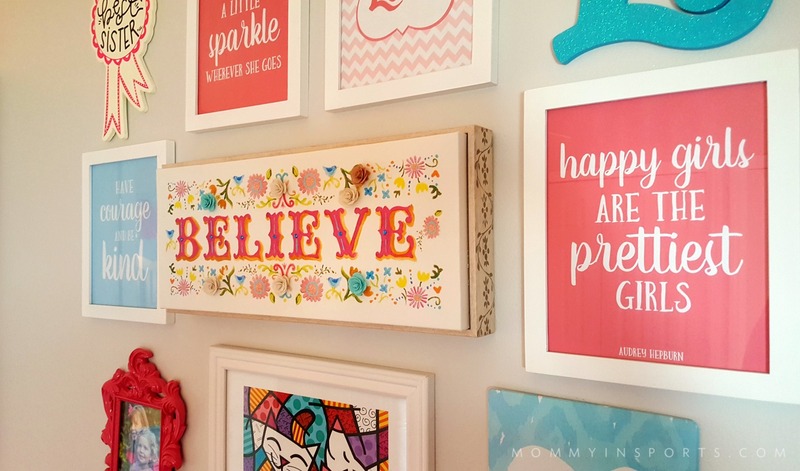 So I allowed her to be who she wants to be, and together we created a whimsical room full of inspiration quotes, a new desk for just $7, and lots of fun girl boss color! We started the girl boss room makeover looking for a desk. 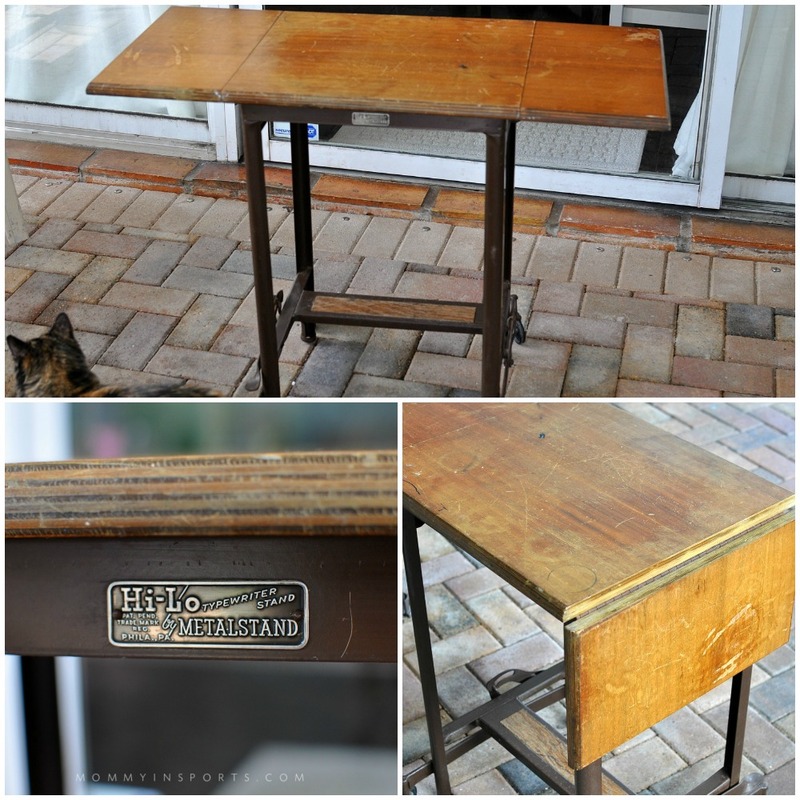 I looked online at IKEA, and at some local furniture stores, but it was this old typewriter table that caught my eye. My husband and I refurbished this $7 thrift store find with materials we had in our garage. Read the DIY instructions here. Since there are no drawers on the desk, we added metal baskets to the wall for storage and the cork boards to display her artwork. When she grows older I’ll add even more storage and perhaps make the space above her desk a chalkboard wall. Hot pink curtains via Target, and hot pink chair is from WalMart. 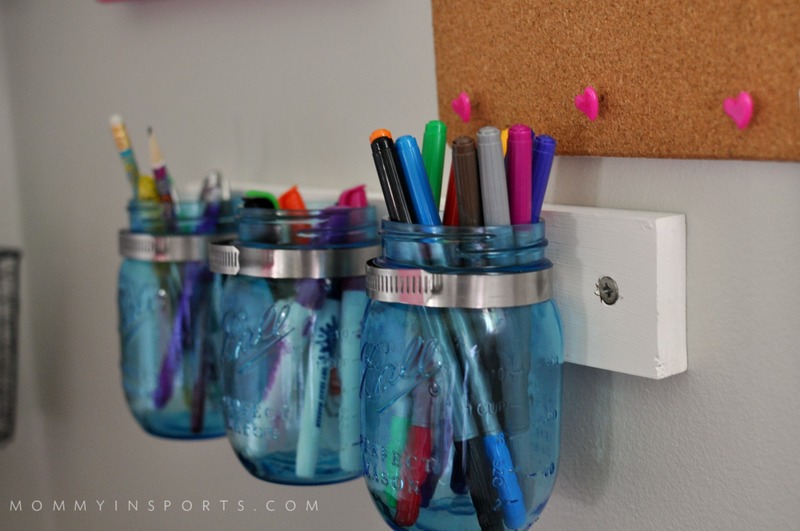 I also had my hubby aka Bob the Builder create this mason jar pen, pencil, and marker holder for her. Total cost of this was only $3! We had the wood and mason jars from her Frozen party already, and followed these instructions. The feature wall is really adorable too – keep reading to create your own! The gray paint wasn’t my favorite color, but she wanted it, so we went with a light Balboa Mist greige from Benjamin Moore. Like our recent bathroom project, we added Valspar Paint Glitter which gives it a nice girl boss shimmer! 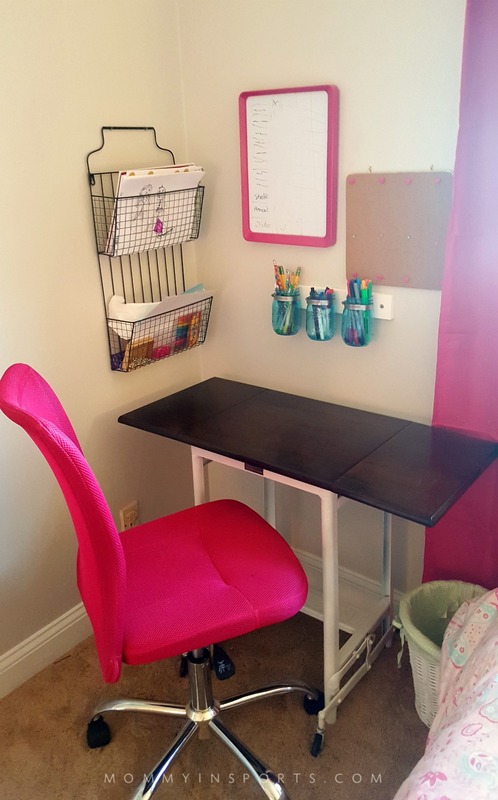 We also added a clearance sale vintage looking white mirror from Kirkland’s, and some fun garland from Hobby Lobby, as every girl boss needs a space to get ready. 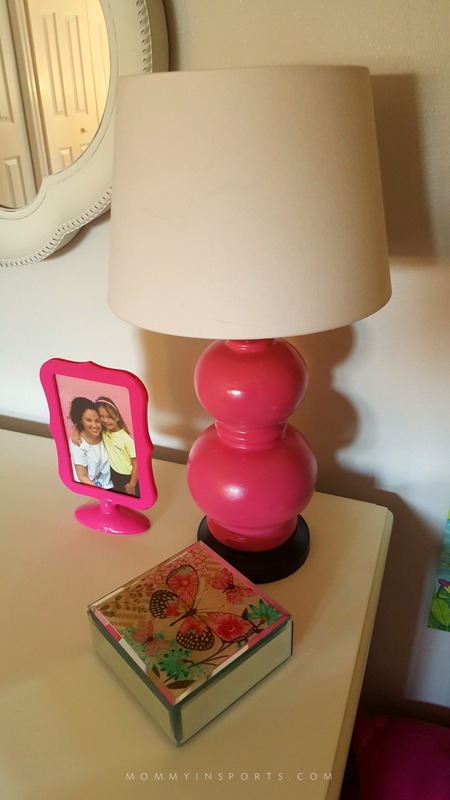 I also upcycled her old mauve lamp with a little raspberry spray paint! No point buying a new one when this one still works fine. See the sparkles in the paint above the lamp? 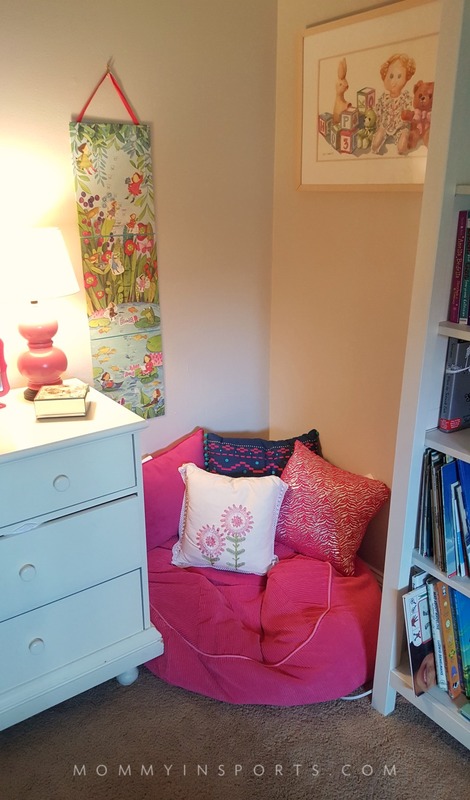 She also needed a reading nook, so we used a hot pink beanbag chair from Target and some throw pillows. My hope is to get an upholstered chair and a pendant light hanging from the ceiling, but that will maybe be in the budget next year! She loves this little nook now though, I find her reading here every night before bed. The most time consuming part of the girl boss makeover was the feature wall. I had a lot of space between her bookcase and her desk, and I wanted to bring in some color and some motivational words. After scouring Pinterest and downloading loads of printables, I decided to make my own. We interspersed the quotes I made with items we picked up at Hobby Lobby. Almost all of the wall art was less than $2.00, except for the hot pink frame. And by the way, she picked the quotes, I made several more but these are the ones my little girl boss loved the most! And of course living here in South Florida our little artist loves Romero Britto, so we added a print we picked up at a charity even to pull the pink and blue together. The BELIEVE sign came from Kirkland’s – and everything was hand-picked by our daughter. I wanted her to feel ownership in this girl boss makeover -and it turned out so pretty! I also love that she wanted a picture of her sister in her room. 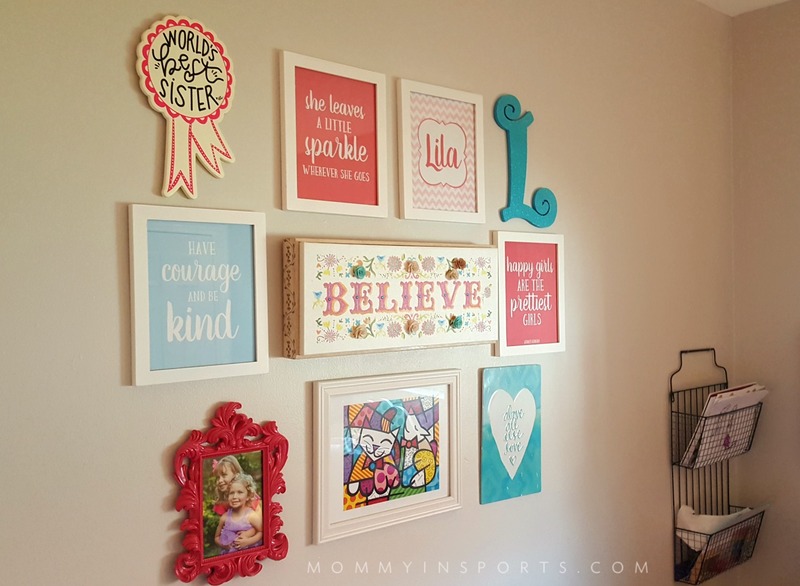 The picture frames for the quotes were already hanging in her room from the previous “baby room” art, so I made the quotes 8 x 10 so we would save there. And luckily we had the pink and blue Pottery Barn Bedding from a Christmas present last year that we hadn’t used yet, so that was a big savings. Here’s the full finished room! 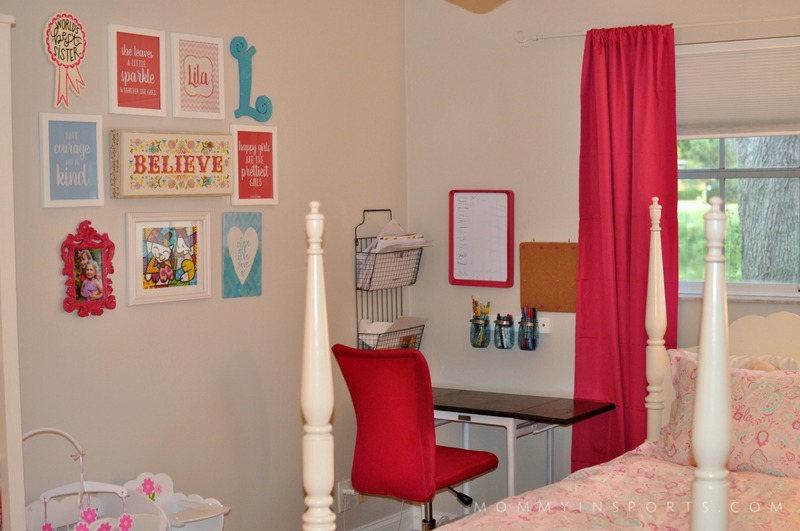 Check out this Girl Boss bedroom makeover with FREE quote printables! I love that she still has her baby crib – not too big for dolls yet! It’s so fun I wish this was my room! 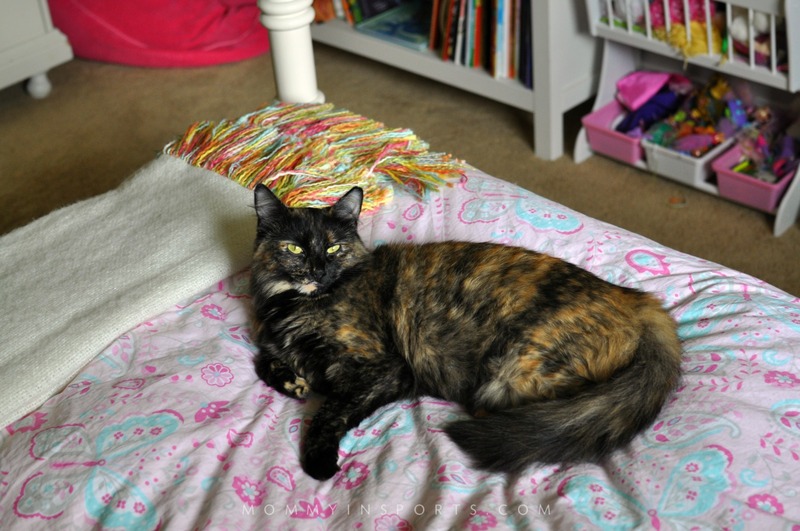 And so does our kitty Zoe, this is now her bed! Believe it or not, I still have a to-do list for this space. I would love to add crown molding and a crystal chandelier. But we’re hoping Santa brings the light fixture! Would you like to download your own girl boss quotes? Here they are, hope you enjoy them as much as we are! 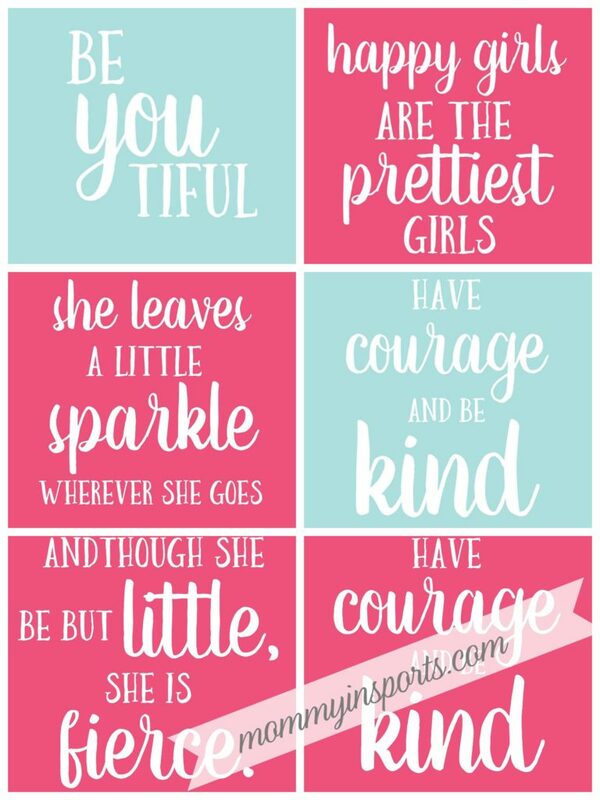 And included are some of the quotes our little girl boss vetoed. Good luck with your makeover and happy creating! CLICK PICTURE BELOW TO DOWNLOAD FILES! Click this picture to download files! 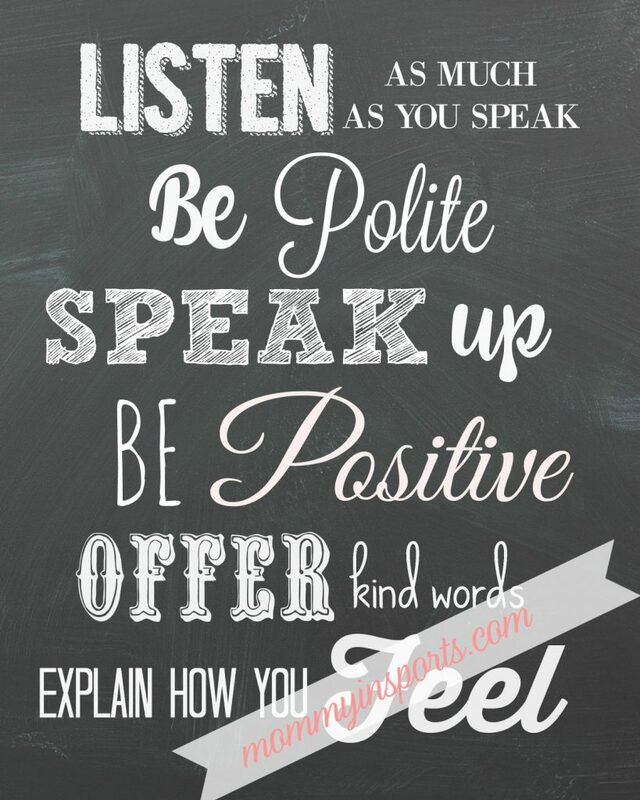 If you liked this post, check out our other printables! 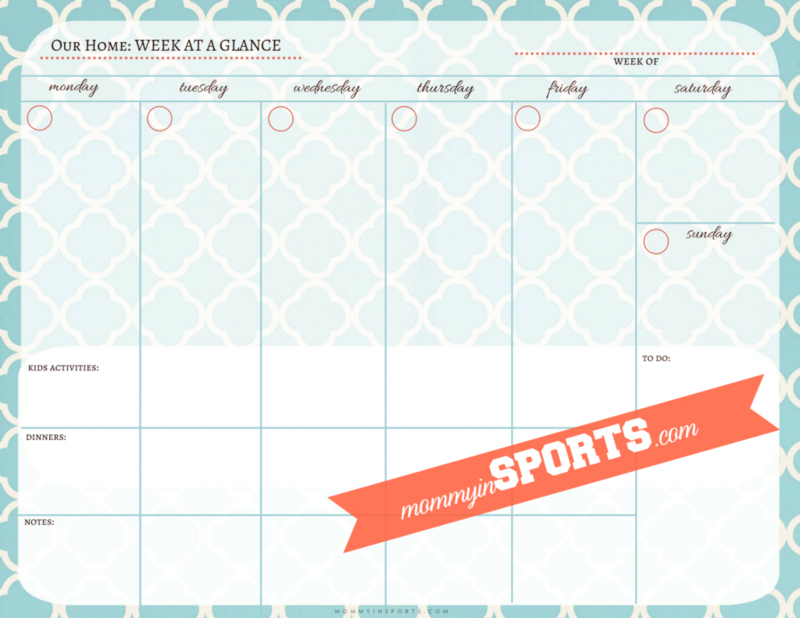 Don’t forget to join the mommy in SPORTS Facebook community! See you there! 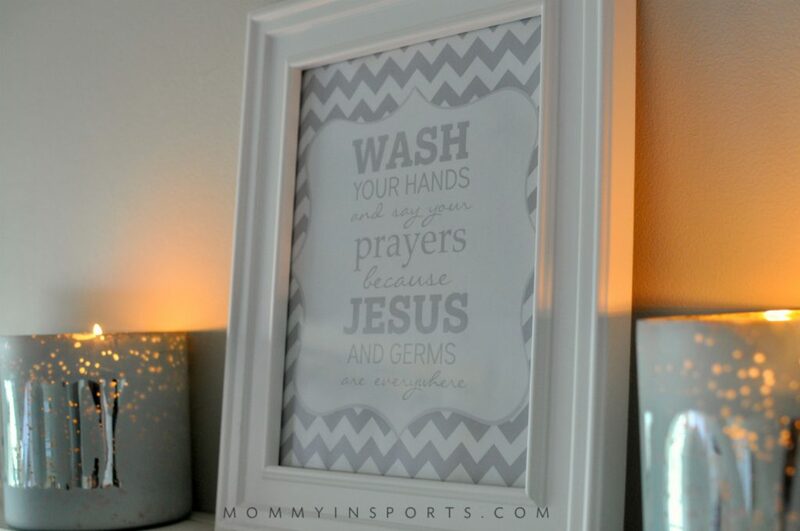 I love all the printables – they look great. Love all the quotes!